Ultrasonic sounds could be overlaid onto audible sounds for Internet of Things (IoT) communications, says IoT startup Trillbit. 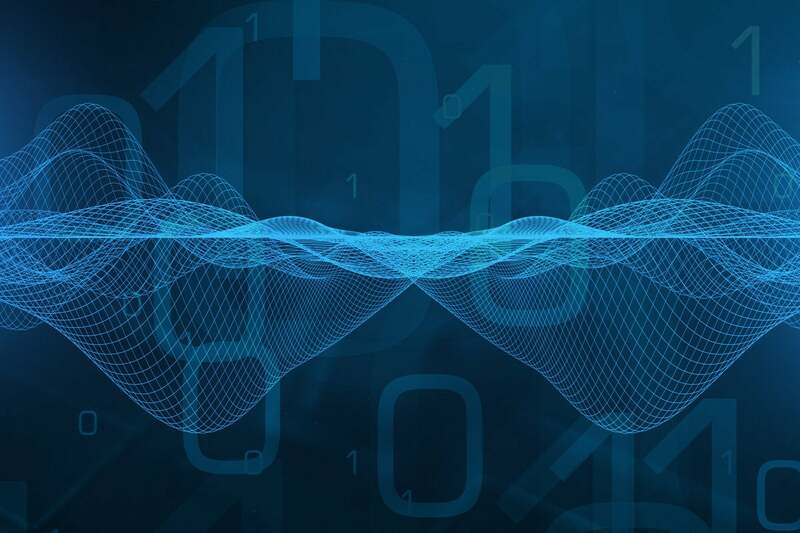 Some kinds of data should be encoded onto an inaudible, near-ultrasound layer placed on top of normal, audible sounds — a process that could rapidly scale Internet of Things (IoT) adoption, says startup Trillbit. The company says that by doing that kind of overlay, any microphone and speaker is turned into a data-transfer device that then could be used for payments transfers, user authentication, and smart city applications such as digital locks. “There is no common universal protocol to connect Internet of Things,” Trillbit explains on its website. “Speakers [and microphones], which are already in place, and all around us” could perform connections. Trillbit’s plan is to develop a system that weaves ultrasonic pulses, which it calls “Trill Tones,” into common sounds, such as music and public announcements. Ultrasonic is the type of sound that the human ear doesn’t register, but equipment can pick up. Smartphones, or any microphone, then, could be used to receive the generated audio pulses and decode the data. In turn, a smartphone speaker within proximity could send a tone to any receiving microphone, such as one embedded in a door lock. Indeed, any specific action could be triggered, including a purchase or communicating with a robot. One of the key applications, according to the company, and one that it is primarily pitching, is related to consumers passing through an environment and targeting them a la Bluetooth beaconing. Trillbit says its proximity intelligence technology would be better than existing beaconing because equipment deployment is already done — the retail store’s speakers, for example, are in situ. It’s cross-platform, too, because it can be used not only by multiple smartphone operating systems, but also legacy TVs and radios. But that commerciality aside, it’s a lack of network dependency where it becomes intriguing for smart city IoT communications — nearly everyone has a smartphone. Transmissions can be highly secure in part because it’s contactless, the company promises. Plus it claims that the system will be zero-cost to deploy with existing city audio infrastructure such as public address systems already built. Interestingly, Trillbit communicates even when smartphones are in Airplane Mode and data is turned off, so conceivably it has uses in the transportation vertical. And “microphones need very little power. The associated software stacks to run the audio beacons need some power, but it is 300 percent less battery-intensive than Bluetooth,” the company claims of its retail eco-system. It’s not the first time audio has been used to transmit data, of course. The telephone Touch-Tone protocol is probably the most ubiquitous audible data transmission heard daily. That’s where multi-frequency tones are used to dial numbers over the voice-frequency band. But it’s really the sub-audible nature of the Trill Tones idea, and the fact that IoT doesn’t actually have a standardized communications protocol yet — unlike the now aging traditional telecommunications, which needed one, and eventually universally adopted Touch-Tone — that makes any network-less, Internet of Sound idea compelling.